The Delhi University Students’ Union (DUSU) election season is the most anticipated event in the University of Delhi (DU). While most students are more than aware of its relevance, they find the ugly muscle power-fuelled circus it has evolved into appalling. Associated with DUSU are a myriad of activities which can’t be classified under one adjective. Here, we compile a list of major DUSU incidents and practices in the recent years – branching out the good, the bad, and the bizarre. DUSU provides the students of DU a platform for cross-college cultural, sports, and academic events. Along with that, it works to ensure that administrative rules that do not represent the welfare of the student body are discontinued. The current DUSU panel protested to reintroduce the distribution of printed mark sheets on graduation, a practice discontinued since 2013. It also went on a hunger strike to ensure that the policy for online entrance for L.L.B. was removed in order to ensure that students not comfortable with online tests are not penalised. The Four-Year Undergraduate Programme (FYUP) was repealed because DUSU, along with other student bodies, fought hard and protested against it. It was AISA’s battle which got the practice of using prefixes before one’s name to get the first ballot number discontinued. Till 2014, candidates prefixed “AA” to their name to get ballot number 1(ballot numbers were allotted in alphabetical order). In 2013, three candidates who used prefixes before their name won, while in 2014 it was all four. This poster and ballot number brand of politics was effectively shut down by this case. DUSU provides students a political experience that is unmatched. Resultantly, DU has become a hotbed for future political leaders of the country. The DUSU platform is so huge that a year of campaigning and holding office turns young student leaders into seasoned politicians, ready to become stakeholders in a bigger sphere. DUSU leaders gain a kind of political relevance that propels their careers and gives them an edge over others. Student politics is generally associated with a strong set of values and a revolutionary desire to change the world. When a spread of hooliganism, sheer violence, and a blatant disregard for ethics seep into an institution as sacred as student politics, it is truly unfortunate. This highlights two unfortunate aspects worth pondering over. Firstly, the students are unbothered about agendas, manifestos, and researching about whom to vote for. Secondly, candidates are cynical enough to rely on these tactics from the very beginning instead of running honest campaigns based on their achievements and promises. The Lyngdoh Committee guidelines strictly forbid the use of printed posters and usage of posters with photographs on them. They also put a cap on election expenditure at Rs,5000 per candidate and limit the campaigning period to three days. Candidates intentionally misspell their names to begin campaigning unofficially. They distribute merchandise with their names on it and openly flout guidelines set by the Lyngdoh Committee. DUSU, for all the avenues it opens up, is not accessible to every student. 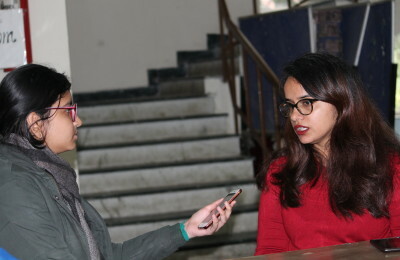 While in principle any student studying in a DUSU-affiliated college can contest DUSU elections, the last independent DUSU President was in 2009. Even then, Manoj Choudhary openly credited the Akhil Bharatiya Vidyarthi Parishad (ABVP) for his victory, as ABVP’s candidate was disqualified. Before that, the last independent winner was in 1991. 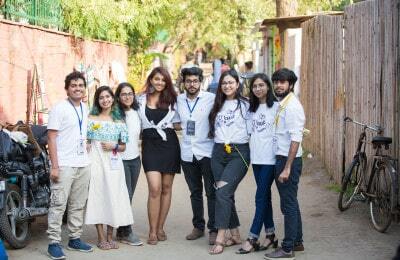 An analysis of the socio-political conditions that make a DUSU President reveals that being wealthy with immense social capital, belonging to either the ABVP or the National Students’ Union of India (NSUI), and being a male are some of the few overlapping elements one requires to make it to DUSU. For a university that boasts of a politically aware and intelligent student body, DU sure is highly ignorant of its own student elections.The average DU student does not care about DUSU, and this lack of interest is one of the primary reasons why DUSU is unable to provide fair representation to students. When people don’t care about elections and don’t vote or vote only for the sake of it, the candidates elected are never those who truly deserve to be there. This also reduces their accountability to the electoral college. Putting up posters with faces of movie stars has been one of the most bizarre ways of campaigning in DUSU. Posters of Rocky Handsome, Priyanka Chopra, Nauheed Cyrusi, and Arjun Kapoor have all been used during promotional activities in DUSU elections. Since most students aren’t even aware of how this practice is unethical, candidates have a free pass to disrespect University norms without the fear of drawing flak. These include distributing freebies, crude sloganeering, and display of strength via a large number of vehicles and supporters. Students are won over by these freebies and continue to choose their elected representatives on the basis of the same. This kind of naiveté from the student body is unbecoming of the University of Delhi’s reputation.